Sam Trickett headlined those advancing from MILLIONS Online Day 1B as a host of household names pulled up a virtual chair last night. Day 1B of the largest online poker tournament in history saw 484 entries contributing a further $2,420,000 in player buy-ins to partypoker’s MILLIONS Online. Adding to the $7,870,000 generated from Day 1A’s 1,574 entries on 25 November, over half of the event’s record $20,000,000 guarantee has now been achieved with three further starting flights yet to run. A total of 73 players successfully navigated their way through yesterday’s field, joining the 230 who progressed from Day 1A. Team partypoker’s Trickett, who is the most successful UK tournament player of all time, will return for Day 2 on 5,576,388 to put him 167th in chips. Trickett’s teammate, Polish pro Dzmitry Urbanovich, also lives to see Day 2 and currently occupies 264th place with 2,432,447. The Day 1B chip leader was "patrondelmal", who finished with 21,904,963. Posting the day’s third highest chip count was 2016 partypoker MILLION champion, Troy “good player” Quenneville, who carries a hefty 15,442,304 through to Day 2 to leave him 12th overall. Elsewhere, English businessman, Talal “raidalot” Shakerchi finished up with 3,600,564 at the close of Day 1B to take up 226th spot for Day 2. 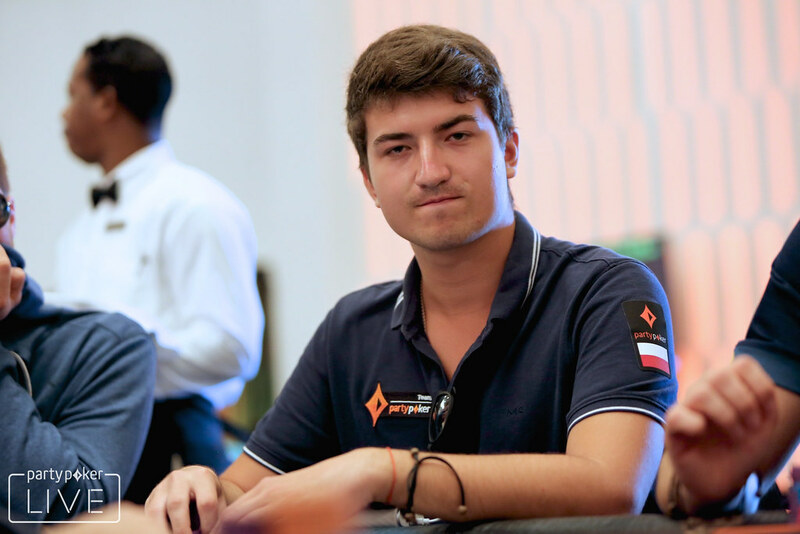 Underscoring his position as partypoker’s number 1 global online player, Niklas “Drulitooo” Astedt also comes back with a shot at the $2,500,000 first place prize after bagging up 9,684,050, good enough for 62nd place. Trickett, Astedt and co. have some way to go to catch to Philipp Gruissem, also of Team partypoker. The German retains his stranglehold on the event following a storming Day 1A, armed with a tournament-leading 26,865,379. MILLIONS Online is the largest online poker tournament in history. The winner is guaranteed to receive a record $2,500,000, while the top four finishers will all emerge as millionaires. partypoker managing director, Tom Waters said: “We set ourselves a target of 500 in last night’s Day 1B, and it looks like we’ll come extremely close to reaching the $20,000,000 guarantee.